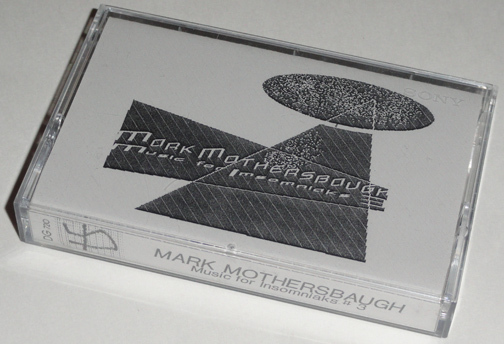 Mark's solo release on cassette. 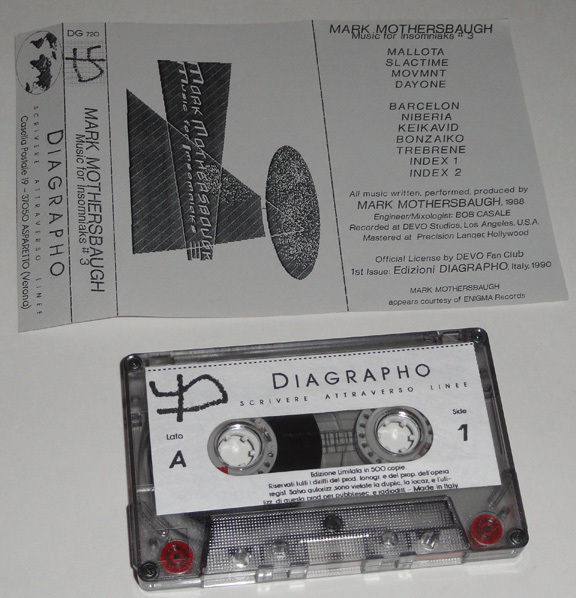 According to Oystein Moe, who donated this to the archives, this tape was Part 3 of a 3 cassette set of Mark's INSOMNIAKS release released in Italy on the Diagrapho label. 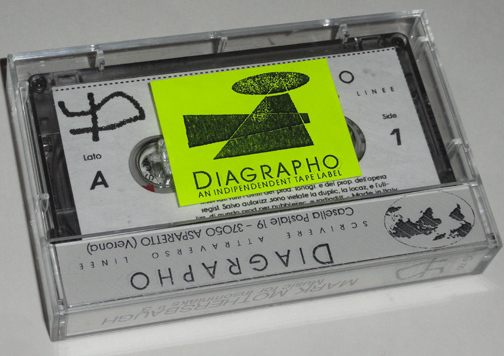 The cover claims to have permission from the DEVO Fan Club to release the music in Italy, but it would not surprise him if it is a bootleg.